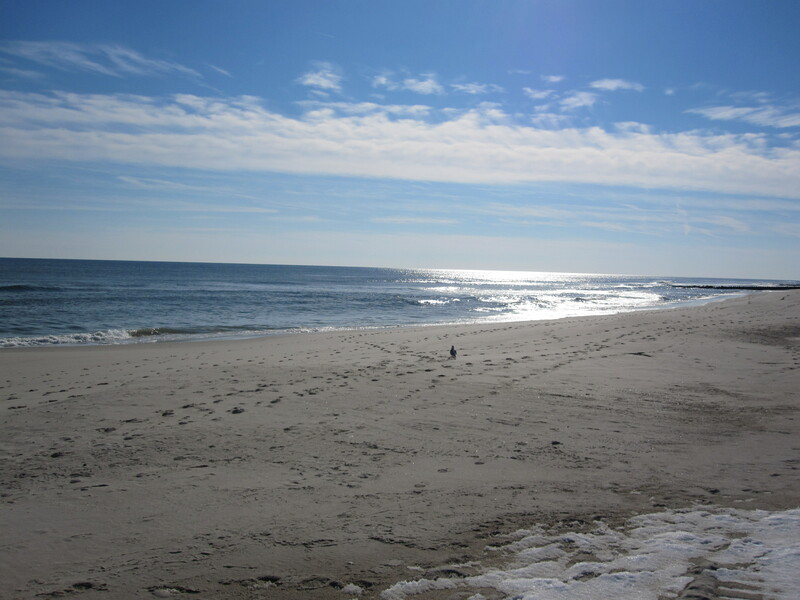 Yes, this is what the beach looks like in the winter, and being a Jersey Girl from the Shore, it’s a sight I’ve seen many times. Still, it’s no less strange, seeing snow on the beach, and it’s something that I’ll probably not see soon nearly as much as I’ve seen in the past. We’ve put the old homestead up for sale since the ‘rents have passed on, though if you live in Jersey, you’re never too far from the coastline. It’s where I grew up and it’s what has sustained me all these years, but change is good, and I’m looking if not for greener (or sandier) pastures, but different ones. Like where? Well, I’ve always loved the mountains. My father’s side of the family comes from the Catskill region of New York State (though their roots are in Iowa and South Dakota). I have friends in Vermont, and having only been to the Rockies once, I’d like to see more of them. My sister is contemplating moving to a house on a lake, and at least if I swam in it (which is a given), I wouldn’t have to think about sharks. Not that I worry too much when I swim in the ocean, but it’s one less thing I have to worry about. Anyway, we still have the beach house a bit longer so here’s one more pix. It’s a hell of a lot better media than I’ve been gawking at lately anyway. 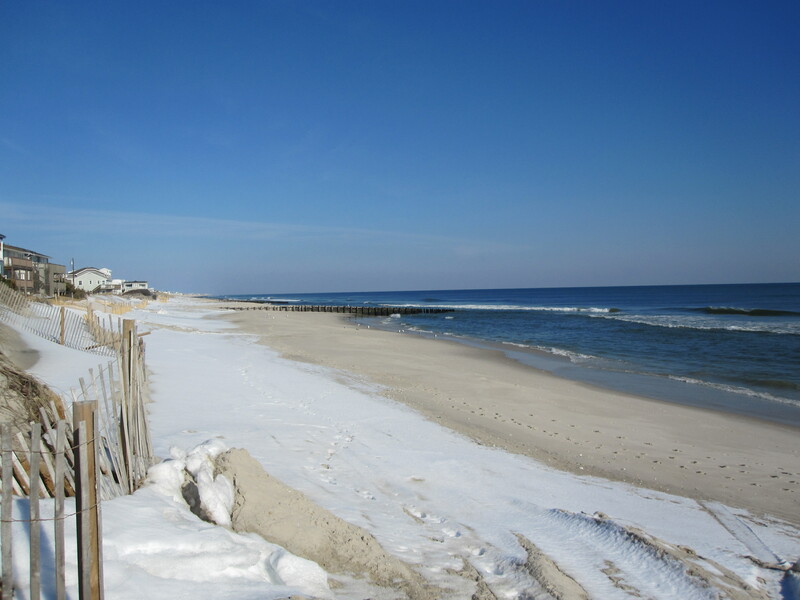 Such an intriguing view, beach w snow. Fun!